LessWrong is a community blog focused on "refining the art of human rationality." To this end, it focuses on identifying and overcoming bias, improving judgment and problem-solving, and speculating about the future. The blog is based on the ideas of Eliezer Yudkowsky, a research fellow for the Machine Intelligence Research Institute (until recently known as the Singularity Institute for Artificial Intelligence); many members of LessWrong share Yudkowsky's interests in transhumanism, artificial intelligence, the Singularity, and cryonics. The content of LessWrong at its best is articulate, innovative, and thoughtful about how to be, well, less wrong in your thinking. Anyone aspiring to make better decisions should read these articles. However, the community's focused demographic and narrow interests have also produced an insular culture that is heavy with its own peculiar jargon and established ideas that often conflict with science and reality. In July of 2000, Eliezer Yudkowsky founded the nonprofit Singularity Institute for Artificial Intelligence (SIAI) to "create a friendly, self-improving artificial intelligence." In 2006, Yudkowksy began contributing to Overcoming Bias along with GMU economist Robin Hanson. After several years and increasing popularity, Yudkowksy started a collaborative blog/community to focus on some topics of particular interest to himself and SIAI, such as rationality, philosophy, AI, and transhumanism. Overcoming Bias remains as a "sister blog" to LessWrong, where Hanson and others discuss how human beings can compensate for natural biases (and ideas stemming from Hanson's speculations on economics). SIAI (now MIRI), where Yudkowsky remains a research fellow, hosts and maintains LessWrong to provide "an introduction to issues of cognitive biases and rationality relevant for careful thinking about optimal philanthropy and many of the problems that must be solved in advance of the creation of provably human-friendly powerful artificial intelligence." Yudkowsky considers LessWrong useful insofar as it advances SIAI's work, and the site is a key venue for SIAI recruitment and fundraising. The most popular post of all time on LessWrong, for example, is an assessment of SIAI by charity evaluator GiveWell. LessWrong originally attracted the bulk of its userbase from communities interested in transhumanism. In addition to Overcoming Bias, these communities include the SL4 mailing list and the Extropians mailing lists (dating back to the 1990s). Accordingly, LessWrong has long been an essentially transhumanist community, emphasizing a focus on rationality per se in order to attract those who might otherwise be skeptical of apocalyptic AI. Since 2010, many of the newcomers to LessWrong have been introduced to the site from "Harry Potter and the Methods of Rationality", a popular work of Harry Potter fanfiction written by Yudkowksy. The future focus of LessWrong is unclear, but discussions about rationality have led to the 2012 formation of the Center For Applied Rationality (CFAR). CFAR is devoted to researching methods of teaching rationalism, and holding retreats and summer camps to pass these methods on to others. After 2013, Yudkowsky himself stopped participating much in the site because it isn't fun anymore (though he still comments occasionally). Many others have followed suit. Yudkowsky and many other current and ex-LessWrongers now form what is colloquially referred to as the LessWrong Diaspora, in their own blogs, on Tumblr and on LessWrong user Scott Alexander's blog Slate Star Codex. Alexander refers to the 2015 participants as "some kind of pack of unquiet spirits who have moved in to haunt it after it got abandoned by the founding community members." By 2018, LessWrong had been relaunched with new back-end software and a new look as LessWrong 2.0. At their best, LessWrong's articles really do articulate important aspects of human cognition. The core of LessWrong are its many parables, metaphors, and explanations of concepts in psychology and philosophy. The popularity of such essays as Yudkowsky's "The Genetic Fallacy," which clearly explains the genetic fallacy and works out some of its potential complications, helped attract the growing community — even luring in those who might not be otherwise interested in transhumanism. While some critics have implied that this is perhaps some sort of deception, the peculiarly focused interests of LessWrong's most prominent members has no reflection on the usefulness of some of its great resources (even if they're unacknowledged idea-for-idea popularisations of Kahneman). All of these efforts that are aimed at promoting better thinking and better decisions, and are accordingly commendable. LessWrong has an extensive jargon that mostly comes from the much-revered "Sequences", a long series of essays by Yudkowsky that are considered essential reading by members of the community. Their extraordinary length can be prohibitive, however (surpassing J.R.R. Tolkien's Lord of the Rings). Such time might be better spent reading some of the books written by the actual researchers behind the Sequences' concepts, such as The Fabric of reality by David Deutsch Thinking, Fast and Slow by Daniel Kahneman, The Black Swan by Nassim Nicholas Taleb, or Thinking and Deciding by Jonathan Baron — all of which are easily readable. This does not negate the value of the Sequences, particularly if you are interested in the transhumanist ends to which many of them turn (neither Kahneman, Taleb, nor Baron address the potential yet highly speculative future problems of godlike AI). The "required reading" status of the Sequences might be partially prompted by the same cognitive dissonance that helps perpetuate exclusive clubs: "it was hard to read them all, but I did it, therefore they must be good." The good bits are not original and the original bits are not good. The well-written explanations of cognitive biases are taken idea-for-idea from Kahneman. In contrast, the quantum physics sequence not only makes actual physicists throw things at walls, it builds to an essay arguing that you should use Yudkowsky's version of Bayesianism rather than empirical science. Take everything with a grain of salt, and read the comments, which frequently carry detailed refutations (often downvoted). Care should be taken to distinguish between fact and personal opinion. For example, Yudkowsky's quantum physics Sequence is a mishmash of a genuinely valuable intuitive explanation of the basic concepts of quantum physics, support for many-worlds (a mainstream, but by no means universally accepted interpretation of quantum mechanics) as if it was proven fact, oversimplifications being presented as the general theory and wild speculation around the nature of consciousness. It also contains ill-defined concepts like "The Tao of Physics" (which may or may not be exactly the same as Hume's principle of the uniformity of nature) and science fiction stories where the Yudkowsky stand-in debates with strawmen (a staple of most of his writing). An uncritical reader is likely to either get even more confused about the subject matter or, worse, swallow Yudkowsky's personal, fringe views alongside mainstream science, forming a bond between the two in their worldview. “”Pretend there is a website of trans-accountants who have never had an accounting job nor had any education in accounting. If members of LessWrong truly are less biased in their thinking than the general public, as they've argued, then the more they succeed in drawing people into the fold, the more they may cede the field to the irrational. This also leads to a preponderance of (a) Silicon Valley libertarianism (the default view of the participants) as the assumed neutral "not-politics" and (b) open slather for neoreactionaries, who largely incubated on OB/LW. LessWrong's culture resembles, in most other respects, the standard set of predominately male, middle-class internet-libertarians so familiar in other places — including cringe-inducing discussions of the merits of racism, which the neoreactionaries took as a welcoming signal. Notably, though, members of LessWrong are unusually concerned and active in charitable giving. They are also laudable for prizing accurate thinking over their personal viewpoints: it is not uncommon to witness someone actually change their mind when confronted with a good argument, a rarer phenomenon than one might think. The site has been accused of being a personality cult of Eliezer Yudkowsky, and does not reflect the other essayists who have become almost as influential. Cultishness is heavily discussed on the site, both by Yudkowsky and others. Amusingly enough, this led to some search engines suggesting "cult" as a related term to "Less Wrong" … in response to which, some users started using the code-word "phyg" to mean "cult". While the appearance of a cult has faded, the like-mindedness that led to the criticism has not. LessWrong has a very deep but narrow set of demographics that have only slightly improved over the years — the same problem common to academic psychology and known as being "WEIRD": "Western, Educated, Industrialized, Rich, and Democratic" or also "White, Educated, Intelligent, Rich, and Democratic." Indeed, the site was strongly concerned about the impacts of growth. Another problem of LessWrong is that its isolationism represents a self-made problem (unlike demographics). Despite intense philosophical speculation, the users tend towards a proud contempt of mainstream and ancient philosophy and this then leads to them having to re-invent the wheel. When this tendency is coupled with the metaphors and parables that are central to LessWrong's attraction, it explains why they invent new terms for already existing concepts. The compatibilist position on free will/determinism is called "requiredism" on LessWrong, for example, and the continuum fallacy is relabeled "the fallacy of gray." The end result is a Seinfeldesque series of superfluous neologisms. Although most posters don't consider Less Wrong to be "mainstream" philosophy, it has been compared to Wittgenstein who seems to best represent Yudkowsky and company's views on how language limits the ability for rationalists to communicate, and Quine, whose approach to naturalism and science reflects the empiricism and reductionism of LW. Gary Drescher 's excellent-but-dense Good and Real covers a lot of the same ground as the Sequences and came out around when the Sequences started; Yudkowsky had not read it before finishing them, but approves of the book. The most prominent criticism to be made of LessWrong involves the incident of Roko's Basilisk. The absurdities involved beggar belief. Yudkowsky has long been interested in the idea that you should act as if your decisions were able to determine the behavior of causally separated simulations of you: if you can plausibly forecast a past or future agent simulating you, and then take actions in the present because of this prediction, then you "determined" the agent's prediction of you, in some sense. The idea is that your decision, the decision of a simulation of you, and any prediction of your decision, have the same cause: An abstract computation that is being carried out. Just like a calculator, and any copy of it, can be predicted to output the same answer, given the same input. The calculator's output, and the output of its copy, are indirectly linked by this abstract computation. Timeless Decision Theory says that, rather than acting like you are determining your individual decision, you should act like you are determining the output of that abstract computation. This sort of thinking gets odd when you imagine superintelligences, because of all the extremes involved: their predictions of human behaviour may be near-perfect, as in Newcomb's paradox , their power may be near-infinite, and the consequences could be near-eternal. Yudkowsky has also advocated utilitarianism, saying that it would be justified to torture one person for 50 years to prevent dust specks in the eyes of sufficiently large numbers of people (a ridiculously huge number that cannot be completely written in the universe). In July of 2010, Roko (a top contributor at the time) wondered if a future Friendly AI would punish people who didn't do everything in their power to further the AI research from which this AI originated, by at the very least donating all they have to it. He reasoned that every day without AI, bad things happen (150,000+ people die every day, war is fought, millions go hungry) and a future Friendly AI would want to prevent this, so it might punish those who understood the importance of donating but didn't donate all they could. He then wondered if future AIs would be more likely to punish those who had wondered if future AIs would punish them. That final thought proved too much for some LessWrong readers, who then had nightmares about being tortured for not donating enough to SIAI. Yudkowsky later claimed the basilisk would not in fact work the way Roko had posited; but rather than simply explaining how such a reaction was inappropriate or how the ideas underlying it were flawed, he instead attempted to censor all discussion of the topic. The matter is now the occasional subject of contorted LW posts, as people try to discuss the issue without talking about what they're talking about, and is a reliable space-filler for journalists covering LW-related stories. The basilisk kerfuffle has also alienated fellow cryonicists. One knowledgeable critic of LessWrong had started out buying into their claims, then was seriously put off by the response to Roko's Basilisk and established a popular reference site on the topic, had various LW members following him around the net to harass him, calling him a liar wherever they found him. He posted to LessWrong saying that the ongoing harassment had been affecting his health, and asking how it could stop. Note that most of these blog posts don't even mention Yudkowsky, much less quote mine him. But still, he wants his own header on top of every single blog post. LessWrong is run under the umbrella of MIRI (formerly the Singularity Institute for Artificial Intelligence). Notable sponsors includes PayPal founder and Donald Trump delegate Peter Thiel, who has contributed five-figure sums for several years. Smaller contributions are also solicited and accepted. A $118,000 loss due to theft was reported in 2009, and has not been recovered. MIRI uses its funds to recompense its officers (Yudkowsky makes about $80,000 per annum) and fund research, although no articles were placed in any peer reviewed journals until 2012. In that year, two articles were placed in the "International Journal of Machine Consciousness" and one in the "Journal of Consciousness Studies", both of which compare unfavorably to more prestigious journals in the field, such as "Artificial Intelligence." Requests for funding are regularly made on the LessWrong website and at conferences, under the justification that MIRI is, uniquely, working to save the world from a threat to its very existence. Yudkowsky is happy to solicit financial contributions even from non-wealthy individuals, in order to "save" them from the speculative scenario of runaway Artificial Intelligence. Overall disconnect between SI's goals and its activities. GiveWell's recommendation was that at this stage (2012), donating to SIAI would work against the organisation's stated goals, which is approximately the worst thing you could say about a charity. Elementary S3E4, "Bella" (2014), features an artificial intelligence and the theory that a member of the Existential Threat Research Association killed its creator to increase the credibility of their anti-AI message. Also includes discourse on "the terror of mortality" and some I-know-that-you-know-that-I-know discussions between Sherlock and his suspect. The Basilisk Murders: A Sarah Turner Mystery by Andrew Hickey. A satirical murder mystery set in the world of transhumanists and Singularitarians. 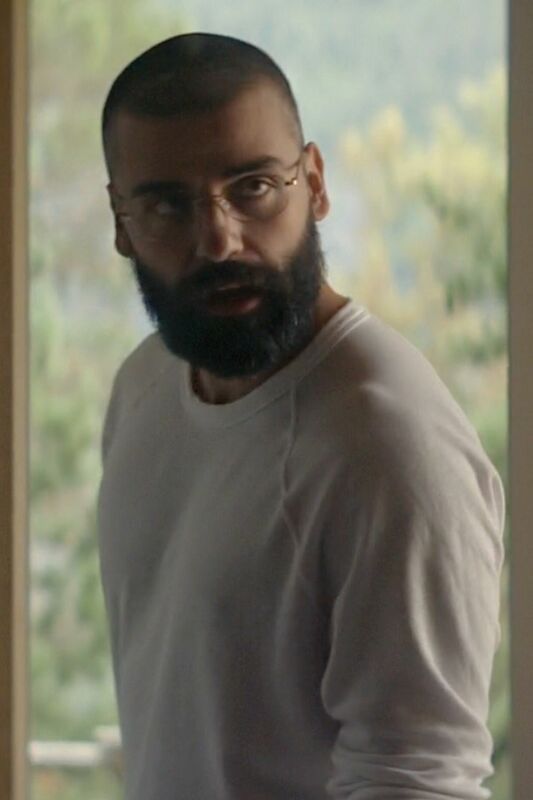 Ex Machina, a movie about a reclusive AI genius who resembles Yudkowsky physically, but not in his ability to actually build stuff. Alexander Kruel, a blogger with some past association with LessWrong and current association with the transhumanist community. Often critical of LessWrong claims. ↑ "important and interesting in proportion to how much it helps construct a Friendly AI"
↑ Michael Vassar, the former president of Singularity Institute, who stepped down in January to pursue his idea for a personalized medicine startup–later bringing on Mr. Mowshowitz and Ms. Vance–admitted the nonprofit had learned to hide some of its more radical ideas, emphasizing rationality instead. As Mr. Yudkowsky put it, “There are plenty of people out there who would be interested in cognitive science-based thinking skills who wouldn’t necessarily buy into the whole 'save humanity' thing." ↑ e.g., the claim is made that exchanging two particles of "the same kind" (same wavefunction) will always result in an identical configuration and therefore be non-sense. This is however only true for bosons whereas for fermions the Fermi exclusion principle states that no such two particles can even exist. ↑ The simple Caesar cipher widely known since the days of usenet as ROT13 transforms "cult" to "phyg" and back again. ↑ Though a google cache of it survived - please do not read if you are prone to nightmares or OCD and/or are worried about causing incalculable harm to yourself. ↑ Mark Plus. A question about Less Wrong's Basilisk . The Life of Man Qua Man on Earth, by a Senior Cryonicist. 2012 October 31. ↑ Mark Plus. Re: A surprisingly positive response. New Cryonet. Yahoo! Groups. 2012 November 2. ↑ BrandonReinhart (2 May 2011). "SIAI - An Examination"
This page was last modified on 8 February 2019, at 17:18.